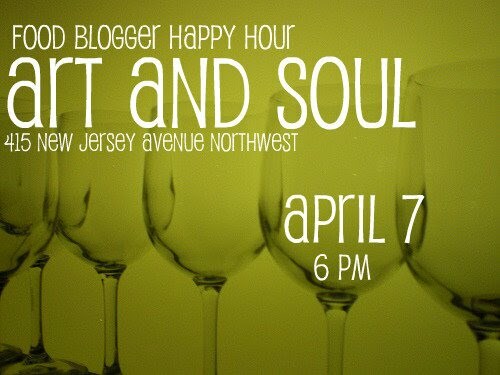 Are you a DC food blog fan? A fan of food in DC? Or a fan of Oprah's former personal chef, Art Smith ? 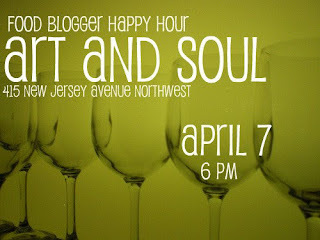 Come out April 7th to the latest DC Food Blogger happy hour. I'll be out of town, but I know my fellow foodies will be representing. I know I was a little shy about going to my first one, but everyone is so welcoming. Just walk right up to anyone, introduce yourself and start talking food. It's our common language. While you're there try one of Art's Hoe Cakes or the Chesapeake Bay Fry (my faves) - or the Sakura cherry blossom cocktail!